2. The bolts connecting the vibration exciter and the screen box are high-strength bolts, and it is not allowed to replace them with universal bolts. The tightening must be checked regularly, at least every 15 days. If any one of the bolts is loose, it will cause other bolts to be cut and cause damage to the screen. A. To prevent crack propagation, drill a 6 mm diameter hole at each end of the crack. B. Use a round shovel to shovel the groove along both sides of the crack. C. Preheat 6(TC) with a 3mm diameter welding rod first, and prevent any slag inclusion and meat bite. D. Smooth the solder on both sides and weld the reinforcing plate. E. When using AC welding, the screen box should be grounded to prevent current from passing through the bearing. ① Allow the hammer to directly hit the part to force the parts assembly. ②If one bearing is damaged, usually another bearing is affected and damaged, and should be replaced at the same time. 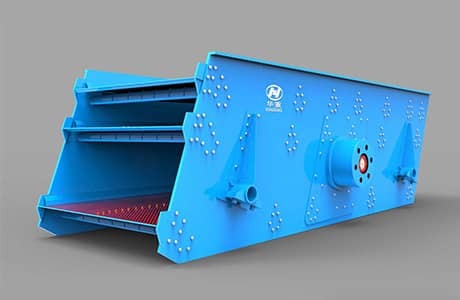 Previous Article：What Are the Commissioning Requirements of Jaw Crusher?